He is risen! He is risen indeed! Easter is coming. It’s one of the most popular times in the year for guests to attend your church. It’s also the biggest celebration in the church calendar. So how will your church welcome visitors and celebrate Christ’s resurrection? We’ve got plenty of church Easter ideas to help you out. Social Graphics: Go into all the world, digitally, and share the good news this Easter with these free social media graphics. 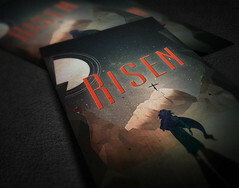 Easter Branding: Get a head start on Easter with this free Easter branding your church can use. Invite Cards: People come to church because they’re invited, so make it easier with these free Easter invite card templates. 25 Easter Ideas: Get a list of ideas for how to promote Easter Sunday. Forget the ham or lamb debate, church communicators need to plan, promote and keep their sanity. Our new book, Super Sunday: Planning Easter for your Church, can help. More than baskets and bunnies, Easter offers a glimpse of glory. That’s why churches celebrate big, and this resource will help them do it right. Webinar: Easter production & communication with Ben Stapley and Mark MacDonald. 3 practical video tips from Joe Porter, John Yeng, and Mark MacDonald sharing one piece of Easter advice. A 7-step outreach communication plan for your major Easter event. An article and worksheet exploring why Easter should not be your Super Bowl. A social media guide for Easter. A sample Easter guest card in multiple versions and formats. 50 ideas for promoting Easter. 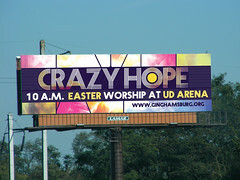 And more, including Easter social graphics and stock photos. Join Courageous Storytellers today to get access to these valuable resources and more. More people search for “church” around Easter than any other time. Easter has the highest attendance of any service all year. 20% are undecided about attending Easter services. Here’s the best Easter marketing strategy I can offer: Calm down. You still have time, and you can do this. Just approach it like you would tackle a giant, chocolate Easter bunny: One bite at a time. How to welcome Easter visitors, an interview with Unwelcome author Jonathan Malm. Why can’t we do church this way every weekend? Thoughts on bringing people back after Easter. Josh Burns talks about targeting those under 30 and single with your Easter invites. Big goals and how to reach them: Phil Bowdle talks about his goal of reaching 1,500 more people at Easter. At Oak Hills Church, Easter planning started three to four months early. But that wasn’t always the case. Learn more about Easter strategy and planning in this podcast episode with Gerry True. Promoting Easter: Empower your congregation and start early. 21 ideas for Easter promotion. Are your Easter service times on your website? 10 Easter examples: Whether it’s experiences, marketing or stage design, we’ve got real Easter examples with pictures and videos. 20 cool Easter ideas: We asked people for the coolest thing they’ve seen churches do at Easter. 60 church websites for Easter. 15 church videos for Easter. 5 experts on Easter: We ask a bunch of experts what they’re doing for Easter. Answers range from a three-month series to a meeting is scheduled. What’s your Easter effort? We’ve been collecting and sharing stories of what local churches are doing for Easter. Eagle Brook Church decided that people already knew about Easter, so they launched a broader public transit campaign to encourage people to share what they found at church. From sunrise services to dramatic moments, church communication pros share their favorite Easter services. Neo Church turned to Indiegogo to fund their Easter film told from the perspective of Mary Magdalene. Joint services: Churches partner to do Easter together. Sorry: An Easter campaign to say sorry to servers screwed over by sad Sunday tippers. Second Baptist Church in Houston puts on a holy flash mob. Need a creative Easter idea? How about Easter elephants and fortune cookies. Show us your Easter: We asked folks to show us what Easter looked like and their church and shared 16 examples of bulletins, advertising, stage set up and more. Get some help from the community with the #cmschat transcripts: Easter preparation, Easter ideas, planning (and surviving) Easter and reaching more people on social media this Easter. Check out Easter designs from 2014, 2013, 2012, 2011, 2010, 2009, 2008, 2006 (pre-dates the lab) and 2005 (also pre-lab). 10 last minute social media ideas for Easter. Plus even more last-minute ideas. The months and weeks leading up to Easter can be stressful for communicators. Be sure you’re taking care of yourself. Go beyond surviving Easter to sharing Easter. As church communicators, our purpose is not to produce, strive or hustle. We’re to abide in God. Easter prayer for church communicators: Gerry True offers a prayer for communicators in our podcast. 3 things to remember during Holy Week. Check out thoughts on self care for Easter from the #cmschat community. The group also shared encouraging Bible verses that help them recharge. Easter is over, now what? Celebrate, evaluate, reset and recharge. We’ve got a whole category about taking care of yourself. Be sure you do it. Easter shouldn’t be about burn out. How about Stephen Colbert talking about extreme church marketing for a post-Easter chuckle (or maybe a mid-Easter break)? Or check out our top 10 Easter mistakes to avoid next year. We hope you find the church Easter ideas you need, we hope your plans come together, and we wish your congregation a joyous Easter.